It’s been beautiful and quite warm the last few days. But the weather report I read online tells me that it will be freezing this weekend. I wish the Oklahoma weather would make up its mind. 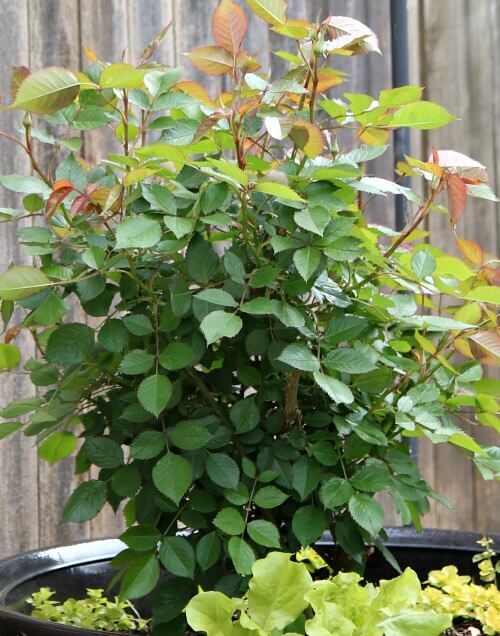 Above is the yellow rose bush I planted last year. 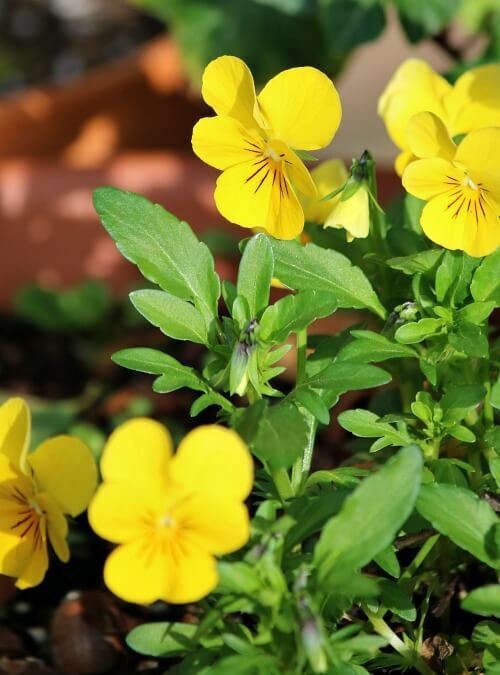 I still have only yellow pansies. I don’t know why the other colors are so slow to make an appearance. Tis a mystery. The hostas in the blue raised garden are coming along. Either the squirrels or the pupsters keep stepping on the leaves and breaking them off. Maybe both. Jade’s leaves look a bit different every day. Now they are looking a bit like geranium leaves. 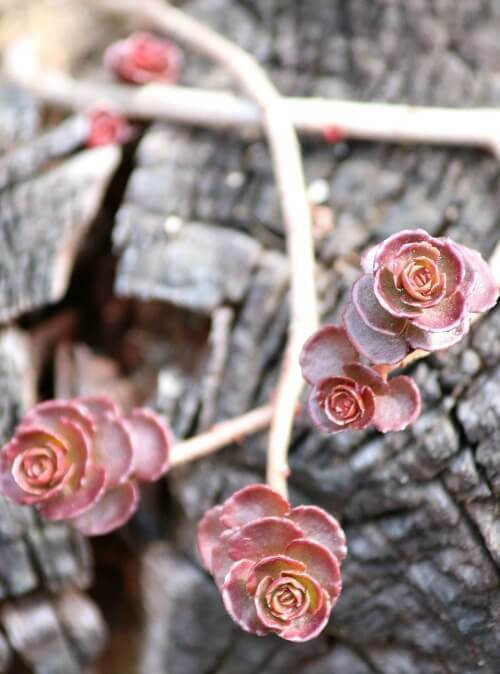 One of two sedum plants returning within the cavity openings of the big piece of driftwood I hauled from Texas to Oklahoma nearly seven years ago. Remember, if a container can hold soil, then you can plant something in it. One of the clumps of mint. It is coming up in several containers. I love the fragrance of mint in the air. I have had all kinds of mint: chocolate mint, orange mint, spearmint, peppermint and others I can’t recall at the moment. Believe me when I tell you that the birds do not care how fancy your bird bath is. They only care about clean water in a container that isn’t deep and that they can drink from and bathe in. 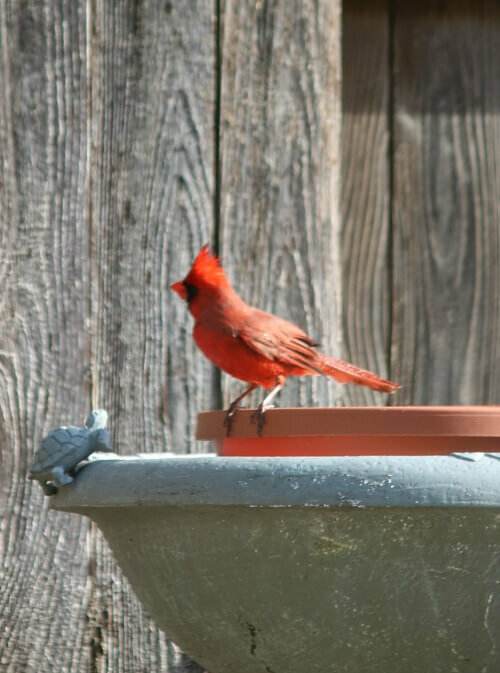 So set out various bird baths for your feathered friends. It can be a plant saucer, a trash can lid, etc. The birds will thank you for your generosity. They appreciate a rock in the water to perch on. Here is the male cardinal, all bathed and handsome and ready to go meet his lady love. Anything happening in your garden yet? Your garden is charming. That red Cardinal is beautiful and must be wonderful to watch and have around. Our fig tree is starting to come to life, and one Hydrangea that appeared to die out last year has come back as a surprise. What a handsome cardinal you have visiting your garden patio. He is smart and knows where to visit. He knows you know his likings and take care of him. Glad you are seeing some new flowers coming along. We have a ways to go yet. Old Man Winter and Spring are still in a tug of war and so far Old Man Winter is winning. We have a few days of nice weather this week but then back to cold and freezing rain by the weekend. Ugh!!! Sometimes I wonder if we peeps in the midwest will go right from winter into summer. Happy Thursday. I envy your warm weather & green plants. Our high yesterday was 50. We still have snow/ice on the north side of the house. 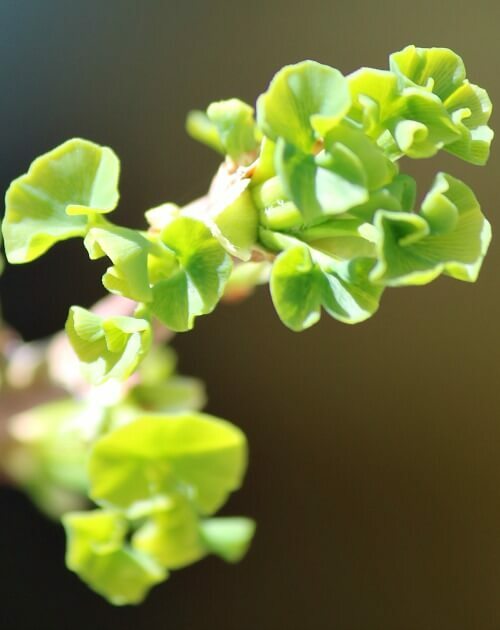 Some of the trees have buds on them, as do some shrubs. But, darn it just stays cold & cloudy. My chives are coming up, and the bulbs I threw in the bed near the veggie garden also. Saturday should be a decent day and I cannot wait to get out and start getting my garden cleaned up! There’s so much to be done, it’s frustrating when the weather doesn’t let me get out there and do it! Not much happening here in IL, Brenda. Lilac buds, daffodils and lilies barely poking up out of the soil. 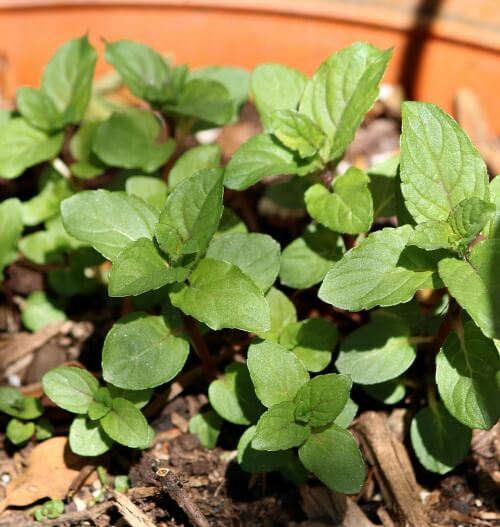 In my herb garden, chives, mint, and red veined sorrel have made an appearance. 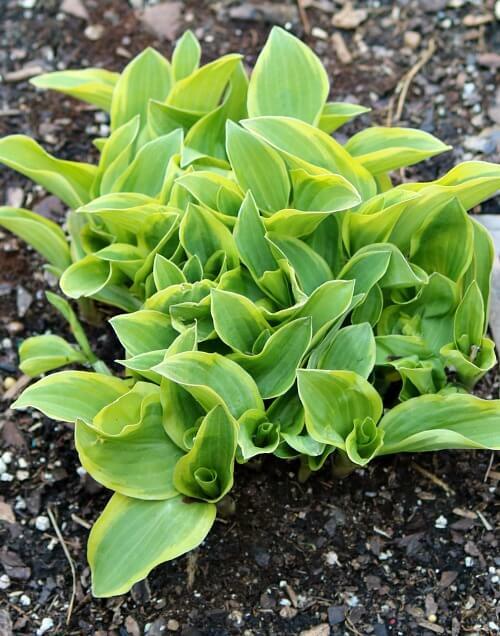 I have hostas all around my house, but the only place where they’re just now barely peeking out of the ground is one spot in front where they get direct morning sun. It is gloriously warm today (already 60 at 10:00 a.m.) and sunny. But this is just a teaser day. Tomorrow will be thunderstorms, cold on Sat with rain, and rain/snow and back in the 30’s on Sunday. Waah! I absolutely love how much gardening you pack into your patio–and I know it is not a huge patio either. Just lovely-you can tell that the plants thrive because you love and care for them. Nothing growing here except snowbanks–we are having a REALLY LATE spring..and I an wishing winter away. oh the Cardinal is just gorgeous … Your garden is coming back so pretty!! 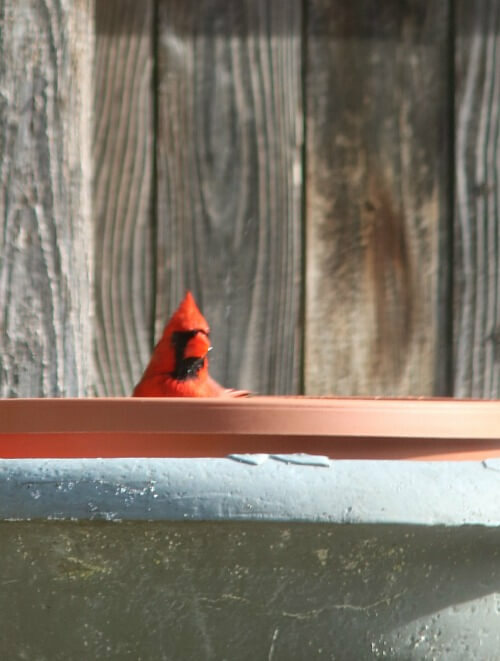 I do believe I will take your advice on the birdbath …. for my little garden area !!! I can’t believe all the plants on your patio putting forth so much green! My daffodils are up, some have buds ready to open. But that’s about it. The crocus, of course. It’s been and continues to be so cold here. Today was quite sunny and warmish until mid-afternoon and then the wind, which had been quite blowy, blew in the clouds and cooled us right down again. I heard we are supposed to have snow again on the weekend. Like you, I wish the weather here would make up its mind! Well, your plants are off to a good start and that patio will be beautiful again soon. I love seeing the cardinals that come to my feeders. I haven’t put out any water for them yet as I’ve assumed it would freeze! I also like the blue jays. There are quite a few of them from time to time. And the chickadees and robins and sparrows. Some people don’t like the sparrows, but I do. Just because there are a lot of them doesn’t mean they aren’t as special as the others, in my opinion. Enjoy the awakening plants and flowers, Brenda. And pray for sunshine in Michigan! Today is the first day it’s going to actually feel like Spring here in Connecticut. temps will reach almost 70. Having snowed twice last week, it feels like a miracle. Our daffodils are just starting to show up. Your patio makes it feel like Spring. The weather here not far from Sioux Falls is confusing. First of the week upper 50’s yesterday then started cooling off. Currently they have the area I live under a Blizzard warning. They say 8 to 12 inches of snow overnight tonight and Saturday with winds 20 to 30 mph and gusts up to 50. Enjoy your warmer weather.